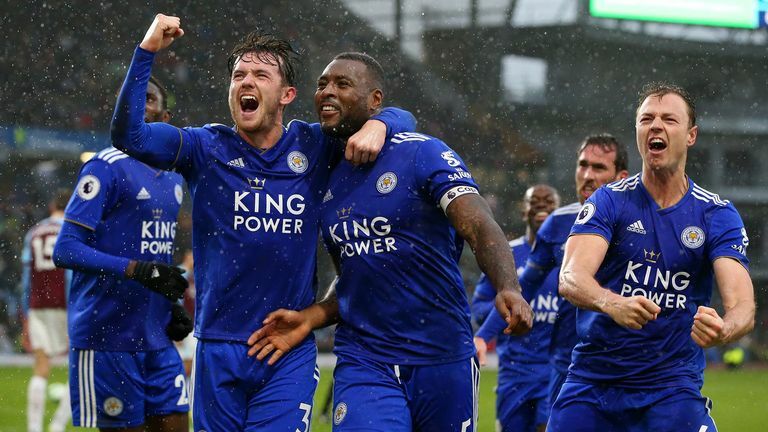 Leicester will become a "force to be reckoned with" under Brendan Rodgers, according to Foxes captain Wes Morgan. Rodgers joined Leicester from Celtic last month and has led them to two wins from his first three matches, including Saturday's 2-1 win at Burnley. The former Liverpool boss has also confirmed he wants Morgan - whose contract expires at the end of the season - to stay at the King Power Stadium. The 35-year-old centre-back is enjoying life under Rodgers, and said: "The gaffer's been brilliant. He's spoken to me. He likes experienced players. I've been at the club a long time and he made it clear he wants me around - I'm on the gaffer's side! "He's been a real breath of fresh air. He's got a style and identity of how he wants things to work. It will take time, but we'll get there in the end and be a force to be reckoned with." Morgan began the game at Burnley on the bench, but came on just minutes into the match following Harry Maguire's red card, and went on to score a dramatic 90th-minute winner. "It was a fantastic feeling to score at the end but a strange start," said Morgan. "I'd settled down on the bench, looking forward to watching the game, and then I was straight on after four or five minutes. VOTE: Who scored the best free-kick? "I didn't expect it to turn out like that but you have to always be ready and I was ready to go on and play my part. "We battled well. It's not easy with 10 men but we battled through to the end, stuck at it, were fortunate to have a chance. Every single one of us was awesome."